Ever since the ash dragon Kavariel killed her sister, fourteen-year-old Carine has hated dragons and the magic they bring. Every year she endures the Festival when the dragon delivers his flame to the capital city of Esten. The dragon's flame is powerful. It kills, but also provides magic that keeps the Heartless Ones at bay. Until this year, when the dragon doesn't come. Instead, a Heartless One enters Esten and threatens the safety of Carine's family and beloved city. Forced to leave her parents behind, she joins forces with two princes and sets off on a death-defying journey to dace all she holds dear. I was sent this book by the author. She contacted me a couple of weeks ago and if I have I have to be honest, I thought this book sounded amazing. I couldn't wait for the opportunity to get into this book. It has taken me a while to start reading it because school has been a bit insane. But I am so ready to get into this book. Please note that in no way has receiving this book affected my opinion. All thoughts are my own. The writing in this book is really amazing. It is so detailed and it often felt like I was there with Carine on her journey. I could smell the honey-almond sweetbread as it floated across the page and I could feel the terror and hopelessness that she felt. The writing style is definitely one of the reasons why I liked this book. I really enjoyed the pace and structure that came with T.K's writing style. I felt that the plot developed quite slowly, maybe it's just because I had read a fast paced book just before this one but I definitely think that there was slow progress. But other than that, the story was really great. It was interesting and I felt that it was well though through. There were hardly questions that I had and I quite enjoyed that. 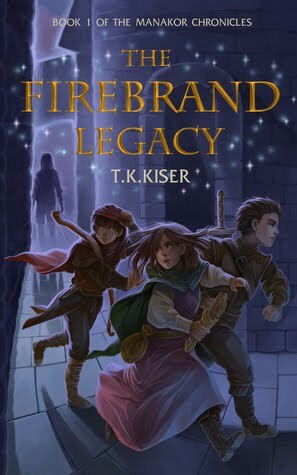 In the end, this book more middle grade than young adult but that is just a personal opinion because of the story arc and how things played out. I enjoyed our main character but sometimes it felt as if she wasn't fourteen but rather younger maybe twelve? I think that that also contributed to the whole middle grade feel of the book. Carine was interesting, or rather how she reacted to certain things was interesting. One minute she was freaking out and acting kinda like a twelve year old and the next moment she is really responsible. That was pretty much the only thing that I questioned in this book. The other two main side characters, the two princes, were really interesting. They were funny and intelligent but at the same time you could see that they craved adventure and I just felt like they really made this story pop. Overall, I thought this was a really enjoyable book. I would probably recommend this book to people who are quite into middle grade as oppose to people who read a lot of YA. I thought that the story was well thought through and beautifully written. I think that the characters could've gone through a bit more development, once again this is just a personal opinion and not something I critiqued the book on too harshly because this is the first book in the series and I am sure that there would be more development in the next book. Thank you so much to the lovely author for sending me a copy of this to review!